Let’s say you’ve created the next great piece of software. It solves a long-standing problem, or makes a laborious task much simpler and you’re eager to put it into potential customers’ hands. But there’s a problem: your particular software works best on an optimized piece of hardware and you don’t have the capital, time or capabilities to offer a complete package under your own roof. In instances like this many software companies choose to enter into an Independent Software Vendor (ISV) partnership with a hardware OEM. An ISV partnership allows you to offer your clients a pre-certified or pre-loaded hardware solution, without the additional costs, overhead and logistics associated with sourcing and carrying the hardware directly. By outsourcing hardware production and shipping you can offer a more full-service experience for your customers, at a fraction of the cost and work. So, how does a software provider enter into an ISV partnership, and how does the relationship work? Is An ISV Partnership Right For Your Business? The first step is determining whether a partnership is the right model for you. In many instances our clients choose to purchase hardware from us and develop the complete package — software, hardware, peripherals, and sometimes integration services — themselves. They sell the total solution through channels or to end users directly. This allows them substantial control — and often substantial margins on the appliance — that the ISV partnership option doesn’t offer. Many software companies don’t want to tie up the capital needed to carry a dedicated hardware platform for their customers. And many others simply prefer to be out of the hardware business altogether. That said, they want to help customers get the right hardware. For them, partnering with an OEM hardware provider is an appealing option. By entering into an ISV partnership software creators gain access to the production, testing and shipping facilities of an established hardware company, effectively giving their customers a solution they can utilize out of the box. Hardware providers offer a host of services to help software companies provide pre-loaded, certified hardware solutions directly to distributors, integrators, or end users. Most major hardware providers offer ISVs a standardized process for entering into a manufacturing partnership. At Logic Supply we’ve devised a six step process that allows our software partners to create, test, certify and distribute hardware solutions efficiently. Step 1: Create Your Hardware Configurations – Working with a dedicated account representative, ISVs are able to design the ideal hardware solution to meet the needs of their channel and end users. By creating fully-customized hardware, ISV partners are able to ensure that the final systems will be optimized for their particular software platform, meet the needs of their clients and possess optimal appeal in their market. Step 2: Purchase Prototypes For Compatibility Testing – Part of ensuring that the hardware and software will interface properly is thoroughly testing compatibility and operation. Our engineering team can assist ISV partners in creating a verification process by shipping prototypes to their software facility or by arranging remote validation. Step 3: Create Links From Your Site To Product Pages – Once the hardware is finalized and tested we create unique product SKUs for each system, allowing ISVs to link directly to a custom product page from their own website. This creates a seamless, easy to use purchasing platform for their end users or integrators. Step 4: Create Co-branded Collateral for Customers (Optional) – If desired, our in-house marketing and design team can assist with creating co-branded collateral for ISVs to provide to customers, distributors or integrators. 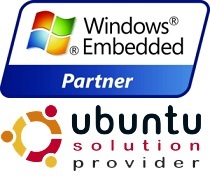 Step 5: Load Software Onto Systems (Optional) – In some cases an ISV partnership may only required pre-certified hardware. However some software developers choose to have us pre-load their software onto the completed systems. The ISV is then only responsible for licensing and application support once the products reach the end user. Step 6: Hardware Is Purchased Directly by Distributor, Integrator or End-customer – One of the primary advantages for software developers entering into an ISV partnership is the ability to step out of the purchasing cycle, while still enabling a compatible platform for end users or distributors. Depending on the agreement, custom packaging, inserts and manuals can be included to highlight the “software-ready” qualities of the hardware. Through the Logic Supply ISV program you’ll be able to provide your clients with a pre-configured, fully compatible hardware solution. Our consultative approach allows our partners to create the ISV framework that best suits their individual needs. We recently worked with Canada’s ADFLOW Networks to develop a digital signage solution for the Latin American market. ADFLOW turned to Logic Supply to create a series of pre-certified media players for their clients. Daily Updates From Computex 2014!